Audi has been working on the next generation Audi Q3 since October last year and it was recently spotted undergoing cold weather testing. While still a prototype, the 2019 Audi Q3 was also seen with production ready parts just a few months back. Now, we have images of the interior, more specifically the cabin. While we have talked about the exterior changes in the 2019 Audi Q3 multiple times, this is the first time that we've got a peek inside the instrument cluster, and we are impressed with what the Bavarian carmaker has done. 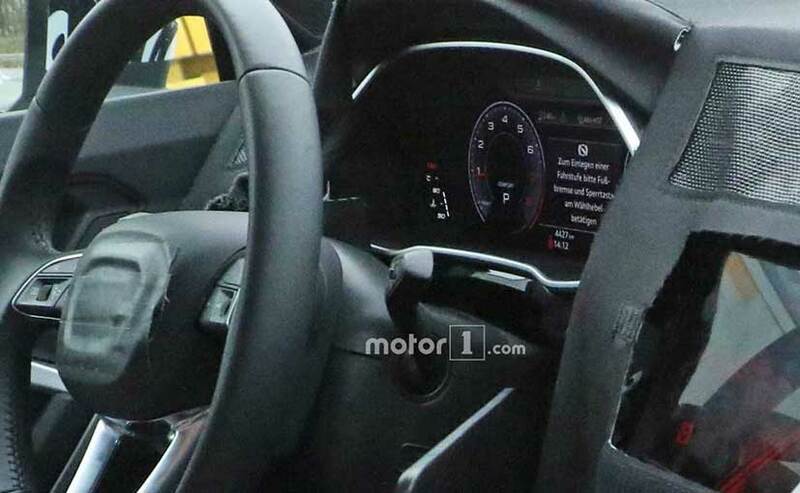 Although the images are tad bit unclear, you can make out that it has the all-digital Audi Virtual Cockpit seen on the new-generation Audi A8, the new Audi A7 Sportback and also the new Audi A6. But, it won't come with touchscreens on the center console. Moreover, it carries forward tablet-style infotainment from its predecessor and upgraded MMI touchscreen. The climate control gets the conventional knobs and is mounted on the right side below the screen. Apart from these changes, the dashboard stays pretty much hidden from the spy camera as the large piece of fabric conceals it very well. The visual change here is that the air vents move above the touchscreen as opposed to below the touchscreen from its previous model. Other cosmetic changes include the metallic accents on the steering wheel and frameless rearview mirror. The 2019 Audi Q3 will make its official debut by the end of this year, which will most likely be at the Paris Motor Show by the end of this year.